I’ve looked at the numbers, and it’s official. There are a lot of investors who are short Canada’s largest banks. The biggest positions as of early January are as follows. Toronto-Dominion Bank (TSX:TD)(NYSE:TD) is in the lead with some 48.7 million shares being sold short for a total stake of approximately $3.5 billion. That is a lot of money betting against perhaps Canada’s finest bank. Bank of Nova Scotia (TSX:BNS)(NYSE:BNS) isn’t far behind. Investors are collectively short 37 million BNS shares — a stake worth a little more than $2.7 billion at today’s prices. Let’s take a closer look and see why there’s so much money betting against the sector. Essentially, the bear case boils down to one thing taking down Canada’s largest financial institutions — a collapse in the nation’s housing market. We can almost immediately rule out most cities across the nation being in a bubble. Property in Montreal is still reasonably priced. So, is Ottawa, Winnipeg, Edmonton, and Calgary. The real problem is in Vancouver and Toronto. Those markets get all the press. I’m the first to admit both the Toronto and Vancouver real estate markets look ridiculously overpriced based on traditional value metrics. Naysayers are 100% correct there. But these folks miss the big point, which is these cities are expensive because people want to live there. There’s huge pent-up demand to move to these places, especially from new immigrants. Besides, these markets have been more expensive than the rest of the country for decades now, and they’ve both experienced downturns before that didn’t ruin banks. 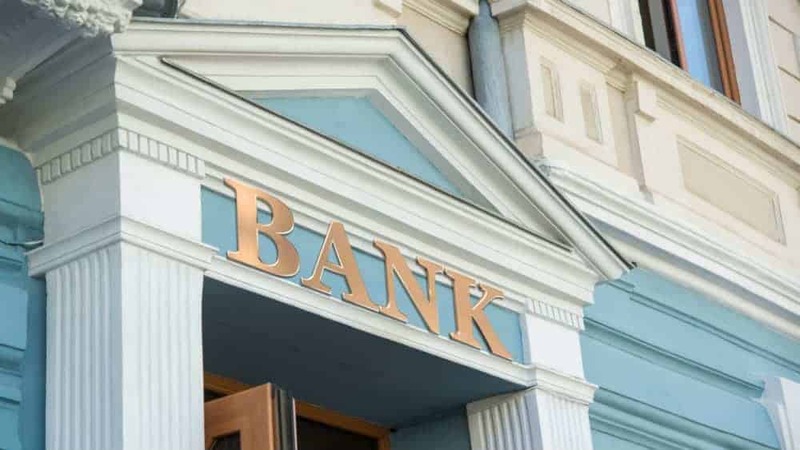 Diversified lenders like TD or Scotiabank are especially protected because they are huge institutions that have diverse operations across numerous countries. Most homeowners will do whatever it takes to pay their mortgage and keep their house. Most will continue to pay, even if the property is worth less than what they paid for it. And many of the folks who will default are covered by mortgage insurance, which pushes the liability of a foreclosure off the lender’s balance sheet. Over the last five years, investors who scooped up bank shares when worries sent them lower have consistently made money. I believe the same opportunity is staring investors in the face today. Let’s start with TD, which is widely considered the finest bank stock in Canada today, sitting atop of a very impressive sector. The company’s U.S. expansion continues — a nation that offers better growth opportunities than here in Canada. U.S. retail earnings are approximately 30% of total earnings, but that division is growing at a much faster pace than operations here at home. 2018 saw Canadian banking earnings grow by about 10% while U.S. banking earnings leaped 30% higher. TD’s long-term dividend-growth rate has been nothing short of unbelievable. In the last 20 years, it has grown the payout from $0.33 per share to $2.68 per share, which translates into 11% annual growth. Scotiabank is another proven wealth builder over the long term. If you would have invested $10,000 into the stock 20 years ago and reinvested your dividends, you’d be sitting on an investment worth approximately $97,000 today. Oh, and that investment would generate more than $4,500 in annual income. Scotiabank has a slightly different expansion plan than its peers — a strategy I like so much I purchased shares. It has spent the last 20 years pushing aggressively into Latin America, establishing retail operations in nations like Mexico, Peru, Colombia, and Chile. These countries are growing at a much faster pace than Canada or the United States, and many citizens are being introduced to banking for the first time. These places also have much higher interest rates than we do at home, which leads to impressive net interest margins. They do come with higher provisions for loan losses, although it’s nothing the bank can’t handle. Canada’s banks could see continued short-term weakness, especially if our overall economy takes a turn for the worse. Any cracks in the Toronto or Vancouver real estate markets won’t help, either. But over the long term, shorting Canada’s banks just isn’t a prudent move. These proven wealth creators aren’t going anywhere. They are the kind of stocks to stash in your portfolio today while they’re cheap and then forget about them until they make you rich. Fool contributor Nelson Smith owns shares of BANK OF NOVA SCOTIA. Bank of Nova Scotia is a recommendation of Stock Advisor Canada.